While Americans enjoyed a Wii price cut last year, Australian gamers were left out in the cold (well, sunshine), continuing to pay the same price we had since 2006. That all changes tomorrow. 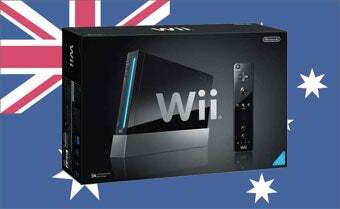 Yes, starting April 29, the Wii will go from AUD$400 to AUD$300 (USD$370-USD$275), a massive 25% price cut. The basic offer will remain the same - you get a console and Wii Sports - it'll just be 3/4 the price. Those thinking this may spell trouble for rumours of a new Wii bundle in the US (since it's the same old Wii offer), don't read too much into the timing; if it took this long for Australia to get a price cut, it'll take months for any bundle including MotionPlus and Wii Sports Resort to make its way down here.